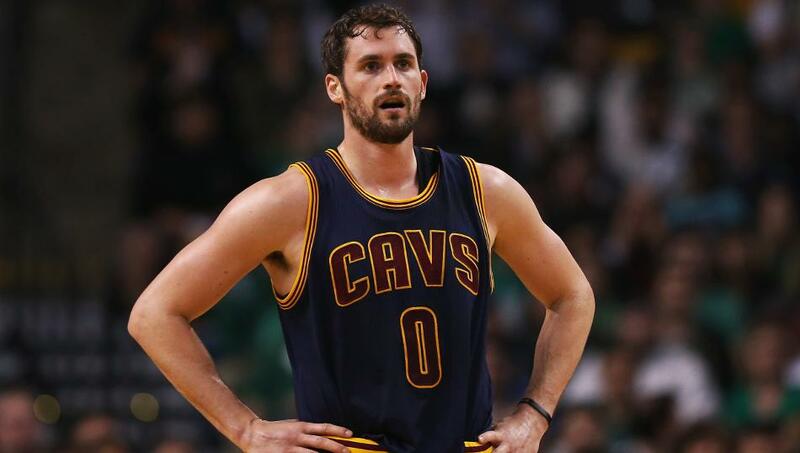 ← Six Fouls Podcast | Did the Cavs Lose the Kevin Love Trade Already? From an injury standpoint, luck was on Cleveland’s side during the regular season with the exception of Anderson Varejao who only played 26 games due to a torn Achilles. But that luck clearly ran out in the playoffs with Love missing 16 games and Kyrie missing seven. 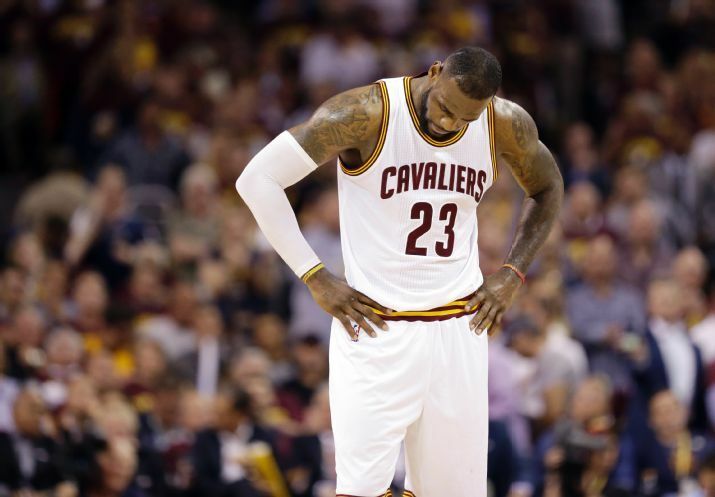 LeBron was able to sustain those losses in the eastern conference, but they were too much to overcome against a Golden State Warriors team who became just the third team in NBA history to win 80-plus games in an NBA season – the Chicago Bulls teams in 1995-96 and 1996-97 were the other two. There are some obvious moves to be made on that list. I think the world would be stunned if LeBron James didn’t pick up his player option for next season. I also think we’d all be stunned if the Cavs didn’t decline Haywood’s ridiculous team option and pick up Mozgov’s team option for next year. Especially since they traded away two first-round picks for him. JR Smith has had such a brutal playoffs outside of maybe two games that I’d be surprised if he didn’t accept his player option. And the Cavs will likely extend their qualifying offers on Dellavedova, Shumpert and Thompson and see how the market plays out for them. Kevin Love of course is the big question of the group. He was traded for Andrew Wiggins who now looks to be a young stud on the rise. It was probably his worst season since his second year in the league and he wasn’t used the way he has been in the past and now it’s easy to wonder whether or not they lost that trade already regardless of whether or not he re-signs. One of the big determining factors of Love’s decision may be what he values. Because if it’s winning then staying in Cleveland would be the no-brainer decision. If it’s being a focal-point of an offense again then that means it’s a different destination. But the biggest of ’em all may be money. With the salary cap jumping up 22 million after next season, it would seem to make more sense for Love to opt-in this season, hope to win a championship and regain his value in the minds around the league and then look for a bigger contract next off-season. Along with everyone else in the NBA. And that’s what I ultimately believe Kevin Love will do. If the Cavaliers return a healthy Love-Irving-James trio there’s a very good chance they get back to the finals. 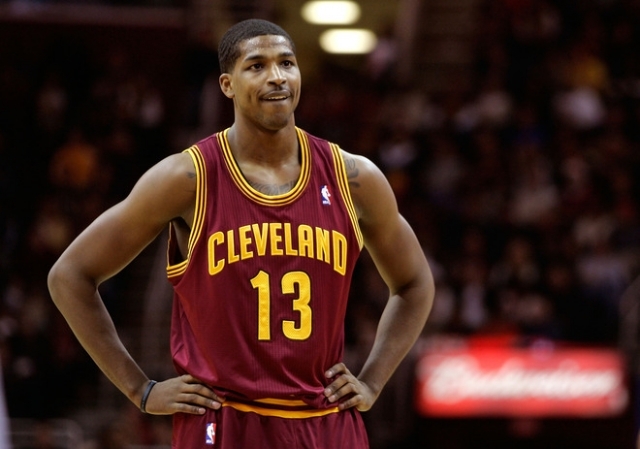 Tristan Thompson is the next big question mark for the Cavaliers this off-season. Thompson turned down a four-year, $52 million contract extension from Cleveland and basically bet on himself to try and prove that he’s worth more. I’m just not sure how much more Tristan can get on the open market. He certainly had a great playoffs and stepped up in a huge way when Love went down, but how much is a guy like him really worth? And how much are the Cavaliers going to be willing to pay the man? If LeBron, Love, Mozgov, JR and Miller all come back next season then Cleveland is looking at a salary cap of $77.6 million. Approximately ten million more than the projected $67 million next season. And we’re not even taking Thompson’s potential contract into effect. If Thompson gets 60 over four years then that’ll add another 15 million onto their cap should Cleveland choose to match that type of offer. Are the Cavaliers really going to want to pay Thompson, Love and Varejao over $40 million combined next season between the three? I’d suggest trading Varejao, who’s a nice player, but is owed $19 million over the next two seasons and has played more than 31 games just once since the 2009-10 season so who’s going to be willing to take a risk and trade for him? In the end it’s ultimately up to Cavaliers owner Dan Gilbert and whether or not he’s willing to absorb the hit they would take on the luxury tax being more than $20 million over the cap should Love and Thompson come back. Perhaps the 24th pick in the NBA draft will influence what Cleveland plans to do this off-season. If they can land an RJ Hunter out of Georgia State or Rashad Vaughn from UNLV and get themselves a good shooting guard, it could certainly be a huge help based on what we saw in this series from Shumpert and JR.
It’s much easier to “Wait ‘Til Next Year” when you’ve got the best player in the league on your side. The fact that LeBron James even got this cast to a game six against this Warriors team was incredible. I can’t guarantee they would have won if Love and/or Irving were healthy in this series, I’ve been touting Golden State all season and thought they’d win in six before the series started when they had a “healthy” Kyrie, but I think it’s safe to say things would have been interesting had at least one of them be on the court. Looking at the teams in the eastern conference, there’s no reason to believe the Cavaliers won’t be back in the finals again next season. Even if Kevin Love walks. Teams will get better in the conference but none will be good enough to supplant James in the east. The question just remains who they face in the west and whether or not they’ll have enough fire power. Nevertheless, Cleveland is going to have to wait at least one more year for the championship drought to end.